Periodic Service: Simply having your piano serviced regularly by a qualified technician can address most problems before they become serious and expensive. Regular tuning will insure your piano will stay in tune longer between tunings. Tuning Intervals: A piano that isn’t tuned at least once a year will be more likely to fall out of tune, and require a “pitch raise” before a final tuning can be done, thus raising the price of the service call. Stability Problems: If your instrument won’t hold a tuning, due to circumstances of placement, changes in the weather, proximity to ocean breezes, and accidents such as leaky pipes, a climate control system may be needed to stabilize the tuning. Dehumidifiers: A “DamppChaser” system can be installed for a nominal cost (roughly the price of a tuning). This system is designed to be installed in a piano, and works by adding a source of heat inside the piano if the humidity exceeds 42%. This heater bar, about the diameter of a bicycle pump and as long as the piano is wide, warms the air inside the piano and keeps excess moisture in the air. 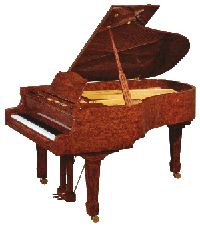 Without the system installed, the moisture is absorbed by the wood in the piano, which affects the tuning. With the system, the wood is protected from excess moisture in the air, and the piano becomes very stable. 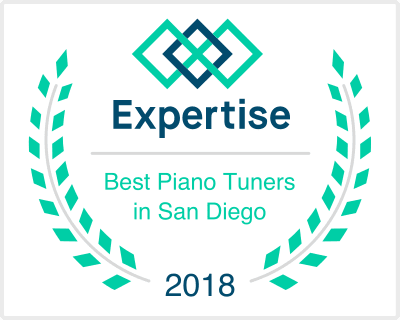 I highly recommend a “Damppchaser” for pianos in most areas of San Diego. This entry was posted on Tuesday, June 29th, 2010 at 12:01 am	and is filed under Tips For The New Piano Owner. You can follow any responses to this entry through the RSS 2.0 feed. Both comments and pings are currently closed.